Anyone registering after 8.00pm on Friday 09 June please note that you will be allocated your swim start time at registration on Sunday morning at the Community Pool from 6.30am. Welcome to our 9th Hampton Ladies Triathlon scheduled for Sunday June 11 2017 based in and around the Hampton Community Pool. If you have ever thought about registering for a Tri or a Duathlon in the past but were a little intimidated then this is the race for you. We hope to have over 300 ladies taking part, and it could be your first opportunity to dip your toes in the world of Triathlon or Duathlon. Its a fun, no-pressure environment full of camaraderie, stories and excitement but also a competive race for the faster ladies out there. Our Triathlon has sold out for the last 2 years so please register soon to guarantee your spot. 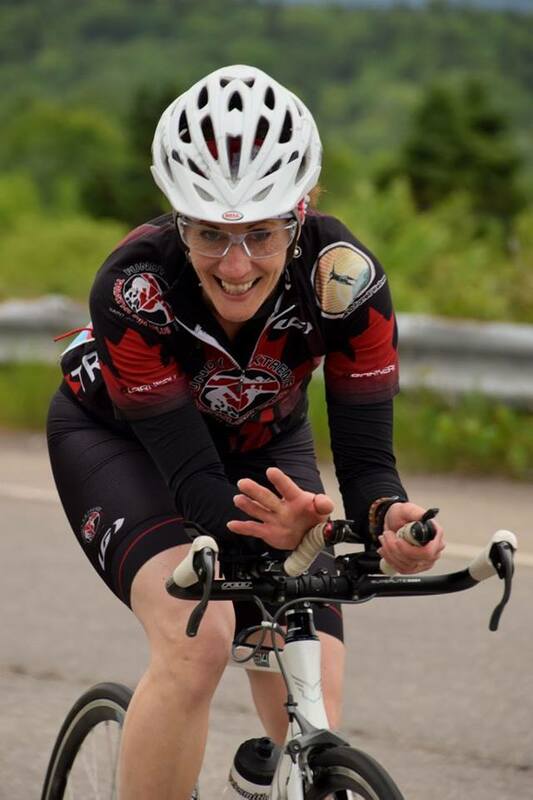 16 Week Training Program - We also offer a 16 week on-line training program using the industry leading software Training Peaks and developed specifically for the Hampton Ladies Triathlon by Daryl Steeves of On the Run Coaching Services. This program gives you an on-line plan and training log as well as support and encouragement from the Coach along the way. Only $10.00 per person and is available to purchase as you register for the race. 10% Discount for the Rev3 Sprint Triathlon on July 9 in St Andrews - we are thrilled to offer a 10% discount off the race registration fee for the Sprint Triathlon at Rev3 St Andrews. Here is the link to the race website - Rev3 St Andrews Website and you will receive the discount code once you check out from the registration page for Hampton Ladies Tri. Finishers Medals - the kids from Hampton Elementary School are designing your finishers medal this year. We will be selecting the winning design in the New Year. We love our amazing sponsors and we are thrilled that Erdinger Beer are a sponsor of our 2017 Hampton Ladies Triathlon with hopefully a few free samples and prizes of their delicious non-alcoholic beer on race day. The Town of Hampton have very kindly resurfaced the first and last 500m of the bike route which means that over the last 2 years we now have a large section of new road surface which will make your riding experience more enjoyable. Our race starts of with a 400m (16 length) outdoor pool swim (pool is heated, no wetsuits allowed or needed), followed by a 20k bike ride on an out and back course into the Hampton and Bloomfield countryside. Its an out and back route so you will receive lots of encouragements from your fellow competitors. Once back in transition you will set off on your 2 lap, out and back 5k run course which is 100% traffic free through the rolling Dutch Point Trail system. At the end of the run you will cross the finish line to shouts of encouragement from fellow runners, spectators and finishers alike. We will also have a Junior / Youth wave with a maximum of 10 spots for our 14 / 15 year old age-group athletes over a shorter distance of 400m swim - 10k bike and 2.5k run at a reduced price of $39.00. This will be the first wave of the morning at roughly 8.00am. 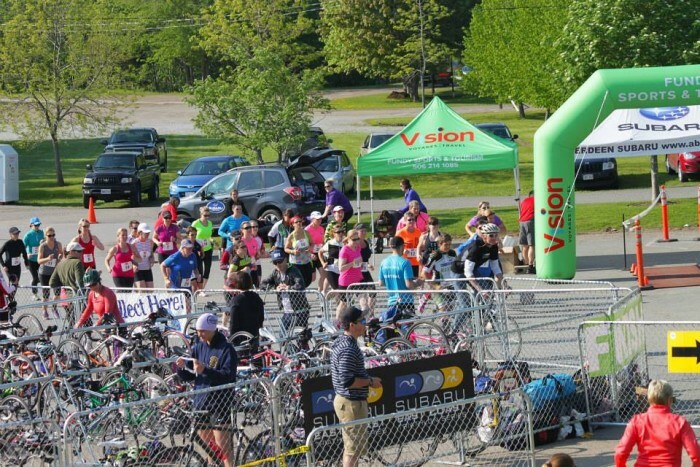 Our Duathlon featuring a 2.5k run and then following the same bike route as the Triathlon before finishing up with a final 2.5k run and the Du has been growing in popularity over the last few years. 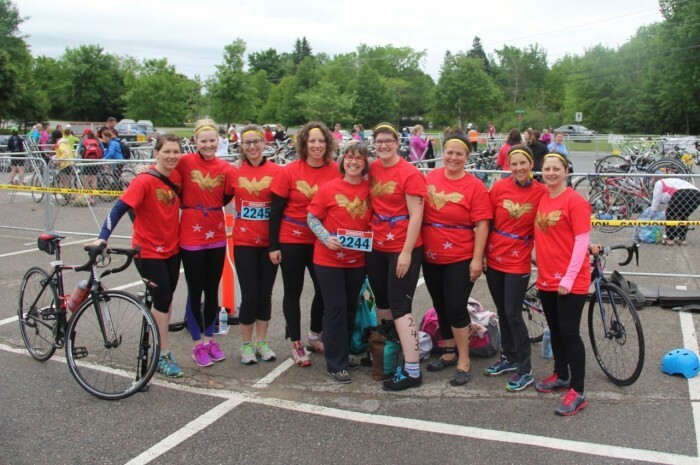 For those non-swimming ladies this is a unique opportunity to take part in your first Duathlon. We promote our event to Novices and those ladies who are interested in taking part in their first Triathlon / Duathlon but we also welcome those more experienced athletes who can use the race as a sharpener for the forthcoming season so everyone is welcome. You must be 16 by 31 December in the year of competition to be eligible for the Sprint Triathlon. Please note that due to problems in the past we will not be able to hold entries over for future years or issue refunds. All registrations are non-transferable, non-refundable and must not be sold on without the prior consent of the Race Director. 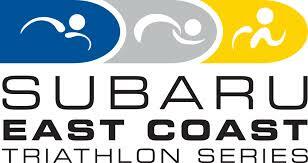 Please e-mail me your estimated 400m Swim time at least 2 weeks prior to the race so that I can create my start list. Please be as accurate as possible as these timings have an effect on the flow of the race. Allow all morning and early afternoon for the race and please note that if you ask us to move your swim time it has an effect on the other girls you are swimming with and upsets the flow of the race. Please note - No deferrals or refunds after 01 May 2017 - sorry, no exceptions. Registrations must not be sold on or transferred to another athlete without the prior consent of the Race Director.